With 40 years of orchard experience, Les is the ideal person to teach others how to grow and care for apple trees. Les’s easy-going style, charisma and sheer wealth of experience makes his orchard courses both educational and enjoyable. is intended to introduce, enthuse and encourage people. They are very hands on and delivered in plain language that helps everyone understand. Each course can comfortably take 12- 15 people. Most can’t wait to get back home after the course, but Les adds that this is so that they can put their new found confidence and knowledge into practice! 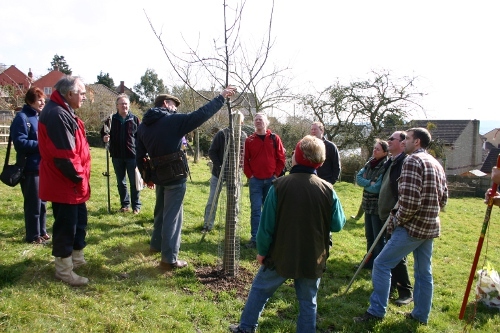 Read some notes from this Orchard Workshop.